The post Starbucks Announces Care@Work, A Subsidized Backup Care Program appeared first on Sprudge. We’ll be there as part of a long-running partnership with the festival, so be sure to catch Sprudge on the Coffee Masters Stage and presenting at The Lab—more details below. And now, in what’s become something of a tradition here at Sprudge, check out an advance look at some of the most exciting facets of this year’s fest. Note that no such highlight reel could ever be complete, and that much more information—including last minute ticket options for you stragglers out there—can be found at the official New York Coffee Festival website. It’s back! Coffee’s most lucrative tournament has returned to the United States again, for the fourth running of the Coffee Masters Tournament at New York Coffee Festival. This year’s event is poised to turn heads yet again, featuring an all-star panel of judges, emcees, and competitors from around the world, competing on gear from Slayer, Mahlkönig, and Hario. This event takes place all three days of the festival Complete details area available here at the official Coffee Masters NYC homepage. T. Ben Fischer at the 2017 US Barista Championship Qualifying Event in Knoxville, TN. An industry-leading exhibition of coffee knowledge and education, The Lab at New York Coffee Festival is back with its finest line-up ever. Featured speakers include Grace Hightower De Niro (Friday, 12:15PM), George Howell (Friday, 1:00pm), T. Ben Fischer of Glitter Cat Barista (Saturday 10:00AM), Tymika Lawrence of Genuine Origin (Saturday, 2:30PM), and many more. Check here for a complete listing of speakers, and be sure to catch Sprudge founders Jordan Michelman and Zachary Carlsen presenting at The Lab Stage One on Saturday the 13th (3:15PM)—talking about their new book, The New Rules of Coffee, and taking your audience questions. A new feature at this year’s fest, Brew Bar is an elite collection of roasters from around the world, exhibiting in a series of take-over sessions to show off their favorite coffees. Check out the complete schedule here and be sure not to miss highlight appearances from Truth Coffee from Cape Town, SA, Koppi of Helsingborg, Sweden, and Five Elephant Coffee from Berlin, plus domestic favorites like Equator Coffees & Teas, Nobletree, and Black & White Coffee Roasters. Always a major stop on the NY Coffee Festival showfloor, La Marzocco’s rotating exhibition of small roasters is back again in 2018. As a set piece the True Artisan Cafe consistently makes for some of the most interesting booth design happening at this show—or at any coffee festival. You’ll see us there, running around between appointments, stopping for another espresso. Charcuterie and Ratio Brewers at the Coutume Coffee Roasters tasting. They say it takes a village to raise a child. Well, at the New York Coffee Festival, The Village is where all the little coffee children and bean teens come to see and be seen. It’s a grand display of booths, exhibitions, tastings, samples, takeovers, and so very much more. Annual stand-outs include booths by Stumptown, Oatly, Hario, and Mr. Black, and we’re looking forward to checking out this year’s offering from Trade, Oxo, Sey Coffee, and so many more. For a complete listing of what’s on at the 2018 NY Coffee Festival, visit the official website and be sure to follow the festival on Instagram. Follow us there too while you’re at it—we’ll be covering the very best of the fest all weekend long. The post What’s On At The 2018 New York Coffee Festival appeared first on Sprudge. The great coffee company consolidation continues. This one lacks the certain Illuminati, conspiracy theory-inducing panache of a multi-billionaire German family playing coffee Katamari, though. It is admittedly on a much smaller scale and makes a lot more sense. Able Brewing, maker of the Kone and Disk metal coffee filters, has been acquired by Mark Hellweg, founder of Clive Coffee and Ratio. Able Brewing began by answering a simple question: with the growth in popularity of pour-over, can a reusable coffee filter meet the expectations of this new breed of persnickety hand brewers? The answer was the Kone, the world’s first precision-etched stainless steel filter for the Chemex. Able later grew to include the Disk reusable AeroPress filter as well as other manual brewing accessories. The brand was just one of many interests for creator Keith Gehrke, who in other coffee circles, is better known for his time spent roasting at Victrola, Flying Goat, Ecco Caffe, and Coava Coffee Roasters. In 2015, Gehrke went on to found States Coffee & Mercantile in Martinez, California (profiled here on Sprudge). And it is this project that has pulled his attention away from Able, turning over the keys to Hellweg and his business partner Brad Walhood. The announcement came via an Instagram post on Able’s account. Hellweg and Gehrke have long been co-conspirators in the coffee brewing innovation game, so much so that Able created a custom Kone filter to be used specifically with Hellweg’s Ratio Eight automatic coffeemaker. Hellweg tells Sprudge that an official announcement will be made available on Able’s website shortly. In the meantime, more information is available via Able’s Instagram. The post Able Brewing Acquired By Mark Hellweg, Founder Of Ratio & Clive Coffee appeared first on Sprudge. What I didn’t know was that pirated movies and counterfeit products were intellectual property rights violations, and that I was enabling the market. When I first decided to write this feature series [READ PART ONE HERE] I had wanted to explore cultural influences in intellectual property (IP). Instead, it evolved into also looking at how developing countries manage IP and how the internet influences global coffee culture. Every country has a different approach to IP laws, and social media only makes access to other people’s ideas easier. IP cases in coffee that play out on the international stage tend to be dominated by large corporations—that is, those entities that have the resources to take things worldwide. Patent registrations protect companies, but they also expire after a set number of years. In 1976, Nestlé filed its first patent for its single-pod Nespresso system and subsequently filed at least 1700 more patents. In the US, Keurig Green Mountain filed its first patent for K-Cup pods in 1992. For both companies, the patents began to expire in 2012, opening the doors to new companies and cheaper pods. Most specialty coffee companies don’t seem to care much about patent wars, despite some having been recently purchased by larger entities like JAB Holding Company or Nestlé. But as specialty coffee—and its accoutrement—continues to be a growing industry, new coffee equipment is constantly being invented. Having ready access to social media only means the newest ideas can get knocked off easier than ever. The PUSH tamper, created by UK-based Clockwork Espresso, is one example of new coffee equipment that’s been duplicated around the world. In 2015, when soon-to-be United Kingdom Barista champion Maxwell Colonna-Dashwood pulled out a strange, hockey-puck-like tamper on the world competition stage, the audience was buzzing. The shape was unlike any tamper on the market and could conceivably solve pressure consistency issues that occur from one tamp to the next. As expected, similar products began appearing on the world market soon after. When asked about them, the founder of Clockwork Espresso’s Pete Southern confirmed that they were unauthorized copies. “Yes, there are several replica products on the market that are produced without our permission,” he said via email. One common misconception he points out is that “people also don’t seem to realize that selling/distributing/marketing an infringing product without permission is just as illegal as manufacturing it.” On the flip side, patent owners are also able to license their technology, which can benefit the creation of new products without worrying about infringements. In his paper “Intellectual Property Challenges for Developing Countries: An Economic Perspective,” Keith E. Markus, Professor of Economics at University of Colorado, Boulder, writes, “The costs of developing a system adequate for handling mere counterfeiting cases, let alone complicated patent disputes, can be substantial.” So while a developing country’s economy could be open to stronger IP laws, those laws lack teeth if no one is able to enforce them. Furthermore, technology licenses are expensive and benefit those who hold the copyrights, mostly companies based in the US. Markus estimated a net inflow of $5.8 billion per year in licensing fees paid to US companies. At the time of this writing, the Trump administration imposed tariffs on Chinese goods, which is in response to “alleged policies that help its native companies acquire the technology of US firms.” Tariffs are predicted to harm relations between the two countries, beginning with China imposing its own tariffs on US goods. To expand into the Chinese market, where specialty coffee is poised to grow in both consuming and producing sectors, some sharing of technology information is needed. Barb and Doug Garrott are co-owners of Orphan Espresso, a Troy, Idaho company that designs and sells coffee grinders and accessories. They’ve had their “products directly purchased, and copied, sold on Amazon, and on eBay,” the Garrotts told Sprudge via email. Orphan Espresso’s OE Lower Bearing Upgrade Kit (for use with the Hario Skerton grinder), Ipanema Dosing Cylinder, and standard dosing funnels are all products they’ve seen directly copied by both small and large, multinational companies. Through a Western lens, it is easy to criticize some of this as outright stealing. In his book, “Trouble in the Middle: American-Chinese Business Relations, Culture, Conflict, and Ethics,” author Steven P. Feldman, Professor of Business Ethics at Case Western Reserve University, puts the viewpoint into perspective. In a Confucian society, value is placed in the collective rather than in the individual. In Vietnam, where Confucianism has a long history, coffee is both grown and consumed. Because the specialty coffee industry is newer, the values may not be as impactful as in other industries. Sarah G. Grant, Assistant Professor in Cultural Anthropology at California State University, Fullerton, studies Vietnam’s cultural and economic policies in relation to the commodity coffee industry. In a written interview, Grant says the internet played a greater role in the industry than Confucianism. “The Vietnamese specialty coffee industry developed quite rapidly and I think the relative age, education level, and English language fluency has significantly shaped it,” she says. At the moment, Vietnamese specialty coffee professionals are collaborative and supportive of each other. Interior design inspiration is one thing, but images, logos, and other such copyrighted or trademarked materials can be found floating across international waters. Brian W. Jones, a designer and brand consultant to coffee companies, shared a few examples of this with Sprudge via email. “Poster designs that I’ve made have been turned into stamps that people use like a logo on their takeaway cups, paintings on their walls, [designs on] their own t-shirts,” Jones says. Most of the violators are small businesses in faraway countries, and pursuing action is often expensive. For Dore-Smith, a friendly reach out comes first. If it fails, then the decision to pursue legal action comes down to where their marks are protected and if it’s worth the cost. “The cost of getting a solicitor to write a letter is about £300 each letter, then following up and chasing, you are looking at around £1,000,” he says. Farah Bhatti, shareholder at business law firm Buchalter, advises her clients to protect their mark in countries where they plan on selling their products. “Because unlike the US, where it’s a first-to-use country… a lot of other countries are first-to-file countries,” she says. In cases where companies have registered her clients’ trademarks, she ends up filing oppositions against them. Obtaining the rights ends up costing $20,000 when a registration could’ve been only $3000 to $5000. IP is immensely complicated, especially when you’re expanding internationally. Every country has its own management system, copycat products abound in every industry, and the Internet has only made it easier than ever to adopt ideas. If success is in your plans, Dore-Smith says, then you should get protection for your brand. Design can be inspired by another shop, but not by a duplication of its marks. “Making a direct copy of something is just stupid and taking the piss,” he adds. The coffee industry has more challenges ahead in navigating IP in international waters and it may take a few high-profile cases to spur companies into taking protective action. The final part of this series will focus on IP as it specifically relates to the coffee plant itself in origin countries. Missed the first installment? Click here. Jenn Chen (@TheJennChen) is a San Francisco–based coffee marketer, writer, and photographer. Read more Jenn Chen on Sprudge. The post Intellectual Property In Coffee: A Global Game Of Clones appeared first on Sprudge. Jameson Irish Whiskey is bringing together two great tastes that taste great together (more or less) with their brand new Jameson Cold Brew. The recently-announced “spirit drink” as the bottle refers to it—as opposed to a vodka drink, a lager drink, or a cider drink—is a blend of “triple-distilled Jameson Irish Whiskey” and “Fairtrade cold brew coffee extract sourced from Arabica beans in Colombia and Brazil,” per Liquor.com. The bottle even has that little Fairtrade logo on it. Sitting at a pretty drinkable 70 proof, Jameson Cold Brew is expected to retail at $33, which is probably about as much as I’d be willing to pay for this sort of coffee-based gimmick, and I’m the target audience. Alas, it is unlikely that Jameson Cold Brew is in my American future, as the very limited release—only 3,000 bottles made—is currently only available on the Emerald Isle, somewhat ironic considering the last time I was in Ireland I could rarely find a filter coffee, much less a cold brew. According to Liquor, the new whiskey is only available for purchase at Jameson’s Dublin distillery and the Dublin Airport, but a quick Google search found that Obriens appears to be selling bottles of Jameson Cold Brew for €28.50. And they’ll deliver anywhere on the country. But should I be lucky enough to get my hands on a bottle, I know just the mixer. The post Jameson Wants To Coffee Up That Whiskey For You appeared first on Sprudge. Tour! Tour! Tour! East coast Sprudge readers and traveling coffee enthusiasts, join us at one of these exciting upcoming appearances in support of The New Rules of Coffee: A Modern Guide for Everyone from Sprudge co-founders Jordan Michelman and Zachary Carlsen. We’d love to see you at any or all of the events below, so give us an RSVP via Facebook and pick up your tickets today (where applicable). On Thursday, October 11th join us for a special live taping of the Taste Podcast at Counter Culture Coffee (376 Broome Street). This is a ticketed event—buy tickets here—and the price includes a signed copy of the book, a spot at the taping, and delicious treats from the team at Counter Culture. Check out past episodes of the Taste podcast featuring Christina Tosi, Peter Meehan, Saimin Norsat, and many more. On Saturday, October 13th join us at the 2018 New York Coffee Festival for a special presentation of The New Rules of Coffee happening at The Lab Stage One. There we’ll be talking about the creation process of our book, reading select passages, and taking your sure-to-be-cheeky questions in front of a live audience. Admission is included with entry to the New York Coffee Festival. On Wednesday, October 17th join us in Brooklyn at the stunning new Stumptown Coffee Roasters cafe in Cobble Hill (212 Pacific Street, Brooklyn) for a book signing meet n’ greet from 1pm-3pm. There we’ll be joined by the lovely folks at Books Are Magic, and we’ll be personally signing books, taking your questions, and inquiring as to your favorite local pizza slice spot. This event is free and open to the public, with books for sale on-site. On Thursday, October 18th we’ve got two stunning events in Philadelphia, PA! To kick things off, join us at Reanimator Coffee‘s Kensington roastworks (310 W Master St.) for a book signing meet n’ greet and intimate presentation of some of our favorite chapters. Come enjoy cappuccino with us and get your very own signed copy of the book. This event is free and open to the public, with books for sale on-site. On the evening of Thursday, October 18th join us at the Elixr Coffee cafe in Center City (207 S Sydenham St) for an evening of coffee sports, giveaways, and a presentation from The New Rules of Coffee. Guests can participate in a cup tasters challenge, with prizes courtesy of Elixr Coffee, plus enjoy refreshments and pick up signed copies of The New Rules of Coffee. We’ll be there to take Q&A and read you a few of our favorite sections of the book. This event is free and open to the public, with books for sale on site. On Saturday, October 20th join us in Washington DC for an event with Peregrine Espresso and Solid State Books at Small Planes Coffee (2400 T Street NE) for an evening of coffee and conversation. Starting at 5pm Peregrine is hosting a city-wide roaster cupping featuring a dozen or so roasters from across the DMV. Then at 7pm, join us for a live conversation on The New Rules of Coffee moderated by God In A Cup author and New York Times/Washington Post/Sprudge contributor Michaele Weissman. Guests can pick up a signed copy of the book onsite and there will be light Q&A following the event. And to cap things off, on Sunday, October 21st join us for a very special live presentation with Smithsonian Associates at The Ripley Center (1100 Jefferson Dr SW). This is a ticketed presentation event, and guests will enjoy delicious coffee courtesy of Counter Culture Coffee, plus receive a signed copy of The New Rules of Coffee. Want to book Sprudge for an event in your city? Drop us a line and we’ll set it up! The post The New Rules Of Coffee East Coast Book Tour! appeared first on Sprudge. We’re just a few short days from the start of the New York Coffee Festival and the 2018 Coffee Masters, and what’s a good coffee party without a raucous coffee kickoff party? For that, look no further than Coffee Disco, who is back for another year of NYCF pre-partying. Taking place Friday night at Sey Coffee in Bushwick, Coffee Disco has assembled a night of coffee cocktails, beer, tunes, prizes, and general good times in preparation for a weekend full of coffee cocktails, beer, tunes, and general good times. Back for its second year—this time without “Austin-style tacos,” and don’t even get me STARTED on whatever the hell that means—Coffee Disco has enlisted the help of the Hudson Valley’s Svendale Brewing for all beer-related needs. From the looks of their offering sheet, expect IPAs (hazy or otherwise), stouts, and sours to abound. Adding the general #goodvibes will be the Strange Jock DJs, whose playlist will work equally well in a yoga class as it will a trip to outer space. And of course, there will be raffle prizes. Sponsors for the 2018 Coffee Disco include Sey, Svendale, Pacific Bag, Modbar, Califia Farms, Oatly, Baratza, and Black Fox Coffee Co, so you know you’ll at least be able to walk home with some non-dairy swag. Tickets for the 2018 Coffee Disco are $10 and can be purchased here. As with last year’s event, all proceeds go to RiseBoro, a Brooklyn-based organization working to better their local communities by focusing on seniors, housing, education, health, and empowerment. It all gets started Friday, October 12th at 8:30pm at Sey Coffee in Bushwick. Coffee Disco is 21 and up, so leave the kids at home. Or drop them off here; I’m sure these chill bros won’t mind. The post Kick Off The New York Coffee Festival With A Coffee Disco appeared first on Sprudge. In this three-part series, we’ll take a look at several angles of IP as it shows up in the coffee industry. To begin with, we’ll take a broad look at coffee IP’s international history and its most commonly seen cases. In the second part, we’ll explore how culture and social media blur the lines of influence and originality. And in the final piece, we delve into IP on a farm level. IP’s global history began with the establishment of patent law in England in 1624, with the Statute of Monopolies. Two centuries later in Italy, Angelo Moriondo would be granted a patent for “New steam machinery for the economic and instantaneous confection of coffee beverage.” The new machine, combining water and steam, was presented at the Turin General Exposition in 1884 and was the precursor to the espresso machine. Another notable mark in coffee patent history is the German invention of the first dripper and filter. In 1908, Melitta Bentz punctured a hole in the bottom of a pot, lined it with notebook paper, and created a way to filter out coffee grounds. The patent, “Filter Top Device lined with Filter Paper,” led to the Melitta company’s birth and the beginning of many new pour-over devices. Trend watchers will not be surprised to learn that every year, there continue to dozens of companies claiming to invent a new device for pouring water over coffee. Nowadays, patents filed in one country may or may not be simultaneously filed in another country. While efforts have been made to make international filings easier and minimum requirements do exist for those who participate in Patent Cooperation Treaty, every country still determines and executes its own laws. The US’s switch in 2013 from a “first-to-invent” system to a “first-inventor-to-file” system to match the rest of the world may see ripple effects in US coffee technology innovation. It no longer matters if you were the first to invent a new component in a coffee roaster. If someone else was working on a similar component and has the resources for a patent attorney, it becomes a race to file. Patenting inventions is only one portion of IP. Trademark protection, which covers name and logo usage, is another major aspect and affects every coffee company. When Minnesota’s Dogwood Coffee first began roasting, the company named its cold brew blend “Zamboni.” It was a love letter to their staff’s enjoyment of hockey and the machines that rule the rink. “We didn’t even make it through a full season before we received the cease-and-desist letter from [the] Zamboni [corporation],” says Dan Anderson, owner of Dogwood. Luckily, Anderson was able to work out a licensing agreement and is now far more educated on the topic of IP. Looking back, he says the experience “really brought home the relevance of protecting your brand and trademarks. I think that definitely played a part in us figuring out our own protection.” Dogwood now goes through a thorough name vetting practice for each of their blends and subsequently registers the blend names as trademarks. It’s good business sense to research potential names before spending money on marketing and other collateral. Marshall Fuss, a California attorney specializing in the coffee industry, often advises his clients to be as unique as possible. “There’s a tendency for everybody to be looking at similar words. Perk this, drip that,” Fuss says. “The thing that I try to get across is that originality counts.” The more the name generically describes the product, like “cone dripper,” the less likely you’ll be approved for the trademark. The concept of using what you find on the internet and taking it is especially prominent on Instagram, where brands are often seen re-gramming other accounts. Without express permission from the original copyright holder, your regram with credit is still copyright infringement. The other major mistake that Bhatti sees businesses make online is publicizing when a celebrity uses their products or services. While more often seen with apparel companies, cafes and product manufacturers have also seen their share of celebrity usage and fandom. For example, Alton Brown’s Road Eats tours is known for soliciting recommendations and visiting smaller specialty cafes around the US. Brown’s favoring of certain cafes has surely helped in their retail sales, but that doesn’t mean business owners have the right to post photos of Brown eating or drinking there. Right of publicity laws vary state to state in the US and cover commercial use of an individual’s identity. In some states, posting a photo without prior agreement with the celebrity can lead to a lawsuit. Another common copyright violation is exceeding a license. Earlier this year, the owners of the Grumpy Cat brand were awarded £500k in a lawsuit against US coffee company Grenade for unauthorized usage of the cat’s photos. The original licensing agreement was for using the photo on the “Grumppuccino” iced coffee line, but Grenade exceeded its usage with roasted coffee and T-shirts. IP through the filter of the coffee industry is undoubtedly a complex topic. When a coffee company begins operating across international borders, it may find that some countries are more lenient than others for trademark registrations. Your company’s name may be filed in another country by someone else, and you won’t be able to claim it without substantial resources. Innovation and IP protection in coffee are not limited to equipment manufacturers and roasters, but can even include coffee growers themselves. IP for plants is called plant breeders’ rights, which allow breeders to license out a variety to anyone they desire. In a Re:co Symposium talk on coffee technology, Hanna Neuschwander, Communications Director for World Coffee Research, compares the pace of innovation between coffee machines and plant breeders’ rights. A search for the phrase “coffee machine” in both the US’s and China’s public patent search systems resulted in 3352 patents registered since 1976. In comparison, the number of filings listed in the International Union for the Protection of New Varieties of Plants (UPOV) database for new coffee varieties was at a measly count of 36. So what does the future of IP in coffee look like? It’ll surely be with an international lens. More entries into the market, and the globalization of social media mean that companies need to work harder to stand out. Imitation is no longer flattering. This is part one of a three-part series—topics including how international IP applies to coffee, and IP specifically within coffee origin countries, will be further explored in upcoming features. The post Intellectual Property In Coffee: Imitation Is No Longer Flattering appeared first on Sprudge. Sprudge is back covering the US and World Coffee Championships and we couldn’t be more excited! Our first official act of duty now that we are back on the comp beat is to bring you the just-announced date and location for the 2019 US Coffee Championships. The SCA has confirmed that the USCC will be headed to Kansas City, Missouri March 15th-17th! Taking place at the Kansas City Convention Center, the SCA is returning to the scene of the 2016 Qualifying Event, but things will be a little different this time. 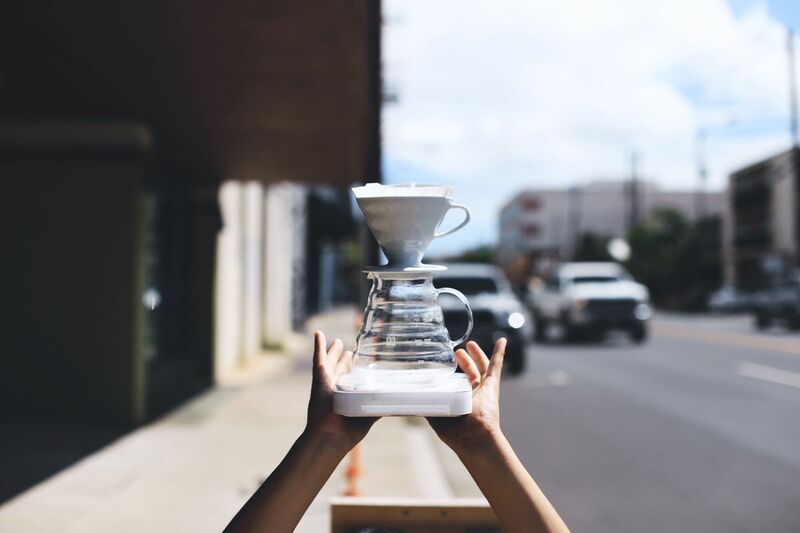 Along with the US Barista Championship and Brewers Cup, Kansas City will host the Cup Tasters and Roasters championships, both of which had qualifying rounds, a new twist since the 2016 event. And for the first time ever, the United States will host a Coffee in Good Spirits competition, also happening in KC. This is a special year because the U.S. Coffee Championships will take place outside of the Specialty Coffee Expo. We have received some great support from the local coffee community in Kansas City and we invite the U.S. coffee community to come meet them and our volunteer leadership on our webinar this Tuesday. To make it to the national stage, competitors must earn their way via qualifying events taking place in Denver and Nashville in December and January, respectively. For those interested in competing in or judging any of these events (who haven’t already earned their way through the micro-regionals), registration for the qualifying events opens October 15th at 10:00am PST. For more information on the events, the rules, or how to compete, visit the US Coffee Championships official website. Sprudge is thrilled to be back as official media partners, bringing you the industry’s best up-to-the-minute coverage of the US Coffee Championships, including the qualifying events via our competitions portal, Sprudge Live. Get excited y’all. We certainly are. The post Kansas City Will Host The 2019 US Coffee Championships appeared first on Sprudge. © 2019 The Curb Kaimuki.